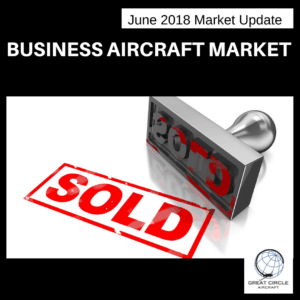 June 2018, 105 Aircraft in this segment! By Far the most added in one month during the past 3 years, maybe longer. The market is continuing in the direction of what was once considered “normal” that being 8% of the market for sale. Inventory level INCREASED from 614 to 633. Quarterly analysis will be sent soon.